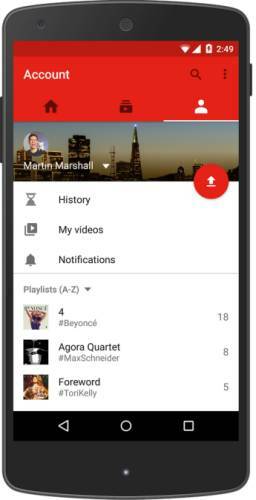 Google has rolled out an updated version of its YouTube mobile apps for Android, iOS and web which includes new a revised user interface and a few new features. When you watch a vertical video in full-screen mode, it will now stay vertical. And there’s an improved video editor that makes it easier to trim your movies before uploading them to the online video site. You can also add a few digital effects. 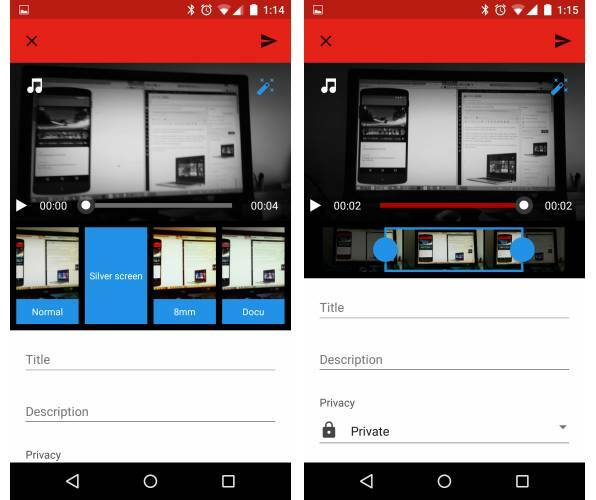 The video editor also lets you add music to your videos by tapping the music icon to find tracks from Google’s library or from your device. As for vertical videos… sure, there are plenty of folks that figure there’s never an excuse for shooting video in portrait mode. But that doesn’t stop people from doing it (and every now and again somebody will defend the vertical video). Now you can watch those videos in full-screen while holding your phone in portrait mode. Previously YouTube rotated those videos so you had to hold your phone in portrait mode to look at a tiny video with black bars on the sides. The YouTube mobile app also introduces a new navigation scheme with three tabs: Home, Subscriptions, and Account (for history, playlists, and your own uploads).